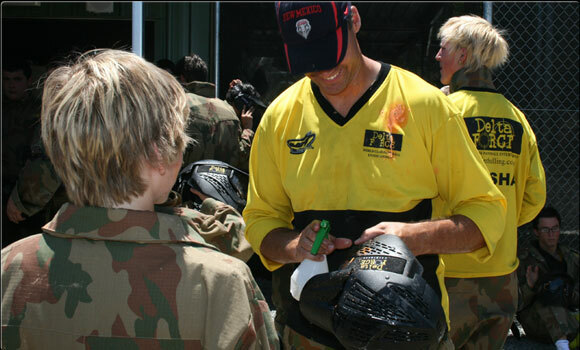 We’re always on the hunt for incredible new people to join our team…Do you have a real passion for paintball? Do you have a great personality and superb inter-personal skills? If so, we want you to join our team. Apply for a Job with Delta Force and we can guarantee you a fun-filled and exciting work experience that you’ll remember for the rest of your life! “I’ve worked for Delta Force for 4 years now and have loved every minute! I started in the call centre when I first moved to London but was quickly promoted to the marketing team. The atmosphere at the head office was incredibly fun and the benefits of working for a global company are amazing! I traveled all throughout the UK and Ireland playing paintball, whilst another colleague traveled throughout Europe looking for land for new paintball centres.